We’ve got an extra funky lineup this weekend full of extraordinary talent. 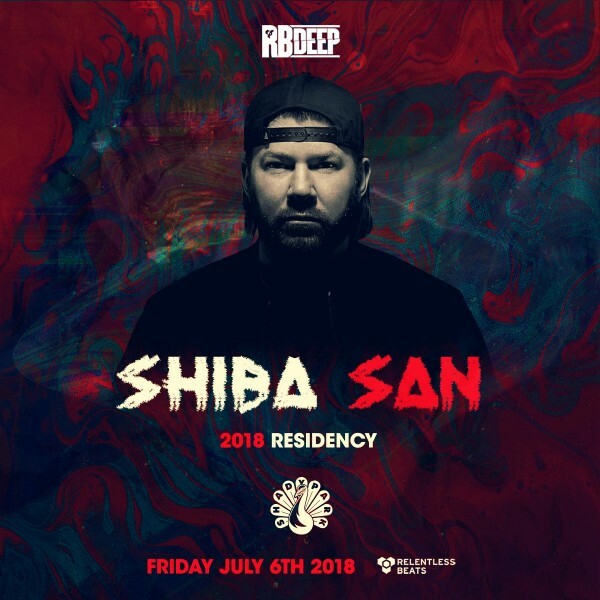 Starting the weekend proper, Shiba San is back as part of his 2018 RBDeep residency at Shady Park on Friday night. 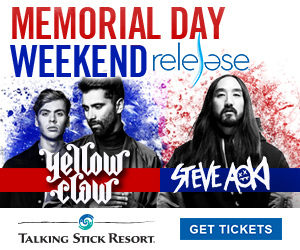 Saturday afternoon you can catch Diplo and Mercer poolside at Talking Stick Resort in Scottsdale. 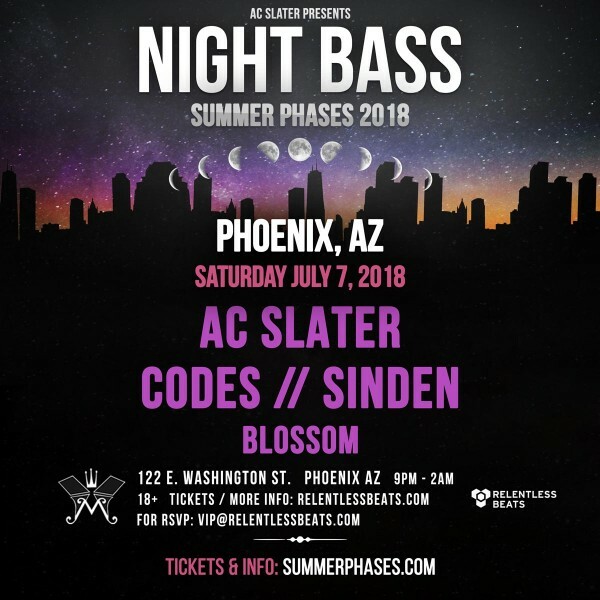 Finally, Night Bass Summer Phases is back in the Valley this weekend with AC Slater, Codes, Sinden and local favorite Blossom taking over Monarch theatre downtown. Shiba San’s sets never disappoint. The French DJ consistently holds true to his reputation for funky beats, eccentric vocals, and an overall fun vibe that keeps a party going. He’s established a name for himself in the underground, obscure world of deep, ghetto house. With productions under the influential San Francisco Dirtybird label and Amine Edge & DANCE’s hotter than hot House outlet Cuff, Shiba San has maintained consistency in producing rock-solid tracks, showcasing dexterity and versatility. This weekend he’s back for the second performance of his 2018 RBDeep residency. This sold-out show is a guaranteed vibe. If you don’t know who Diplo is by now you’ve really been sleepin’! This musical mastermind can do it all. From producing to writing to performing, Diplo is one of the hardest working individuals in the industry. Most recently he put out a 6-track EP California with a slew of A-list features, worked on the Deadpool 2 soundtrack, formed a supergroup with Sia and Labrinth known as LSD, and released two singles “Stay Open” and “Only Can Get Better.” Like I said, hardworking, and his performances are nothing short of fantastic. Joining him is Mercer. 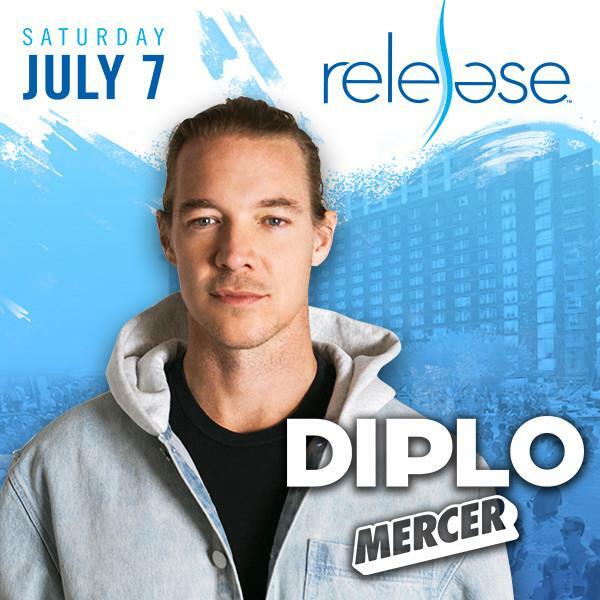 You might know Mercer from his Pardon My French collective created back in 2015 with fellow French DJs Tchami, Malaa, and DJ Snake. Similar to his French counterparts, the 34-year-old Mercer knows his way around the Future House genre. Since his emergence onto the scene back in 2010, he’s produced a wide range of successful music through various outputs, including Tchami’s Confession Label, Spinnin’ Records, Mad Decent, and more. AC Slater is without a doubt the King of bass-heavy house music in America. He’s begun a lengthy career for himself by fusing elements of house music with the dirty basslines of UK garage and sprinkles of old-school rave synths and breaks. In 2015, Slater decided to make a record label out of his longstanding party scene in LA so he could continue to support quality bass music, release records and host parties–he calls it Night Bass. Since then AC Slater has been touring the country bringing his bass-heavy music to festivals and clubs alike. This weekend he’s bringing his Night Bass Summer Sessions to Phoenix with Codes, Sinden, and Blossom. New York-based DJ and producer Codes knows how to keep a party going. His funky House tracks have captivated audiences across the world at massive events like HARD Summer, Valtifest in Amsterdam, and Camp Bisco, among others. Staying true to his eclectic sound, Codes recently released Bumps & Boom Bapps, featuring 10 remix tracks with an impressive crew of A-list producers and tastemakers. The past few years have seen a busy release schedule for Sinden, collaborative EP’s and remixes for Night Bass, a 2 track EP for Tchami’s Confession label and an album for leading Japanese house label Sushi Records are just a few of many highlights.